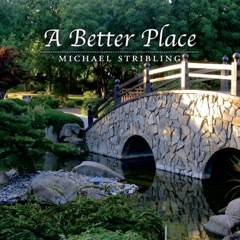 A Better Place is Michael Stribling’s latest release. It is the first release since 2011. The goal of this music is to enhance the human condition. After listening to the album straight through, I would have to say that is achieved. As it says on the artist website, "The mission of Leela Music is to help others in their journey toward wholeness through the gift of music, by creating works that inspire and uplift the human spirit (Leela means 'divine play').” Certainly that is accomplished through the music. Being a diverse listener always helps to be more open to new sounds. There is not a day that passes that I cannot use a good dose of music that takes the edge off, and Michael reminded me of that while listening. The amazing thing about how this man creates his music is that it’s just him, his keyboards, and various sampled sounds captured by a MIDI, then shaped and molded through Digital Performer and multiple plug-ins. It is electronic-based music, and it comes together quite nicely and sounds beautiful. It takes a good ear and plenty of talent to create music like this. "Dust Yourself Off” is a favorite. I loved the keyboards and synth sounds; it is a marvelous and very effective combination. "Looking Up” into the skies day or night is a wondrous and spiritual thing; it has been for me my entire life. And this track is the most upbeat, driving, and dramatic take on the entire recording. It’s exciting, like something Vangelis would do for a movie score. The brightness and joy brought forth will bring a smile to you, inside and out. "Time For Bed, Sweetheart” is a symphonic lullaby. It is pulls you right in like an inviting warm bed on a cold winter’s night. It is purposeful and determined, yet soft and sweet at the same time. I liked the texture and atmospheric nature of this track. It was like a bit of aural heaven for my senses. As the album closes out, it is a reminder to all of us that life moves "Ever Onward”; as a gentle and happy invitation begins with keys and tinkling bells, you look back at everything you just heard and all the feelings the music was able to draw out of you. Music like this is not only relaxing, its intuitive nature allows contemplation and reflection of what is on the inside, not the superficial daily things. The question is what is really going on inside your head and what moves your soul. In spirit you can find the truth, and the final result is inner peace. I believe that is the goal of what Mr. Stribling strives to accomplish with his music. 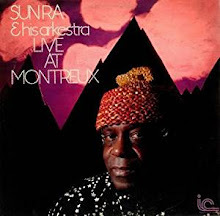 Thank you for making that a reality for me, sir; I look forward to your next outing of ear candy that translates to spiritual bliss.